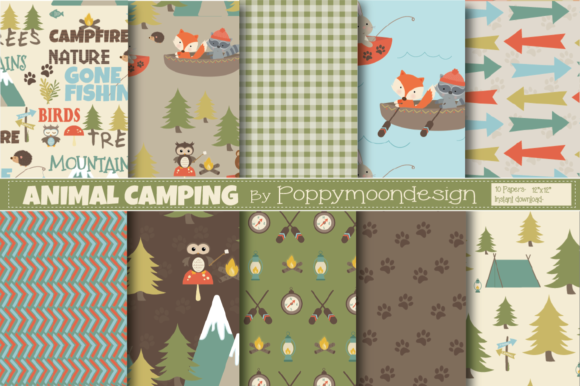 A cute paper pack, forest animals camping. Patterns include,gingham,bear prints, camping, fishing and more. Perfect for party invites, scrapbooking, greeting cards and all your camping crafting. This pack includes 10 fun camping papers. Coordinating Animal camping clipart can be downloaded separate.